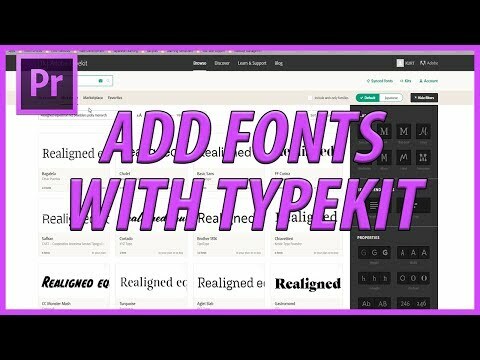 [#Adobe #Design] How to Add Fonts using Typekit in Adobe Premiere Pro CC (2018) » WHUZZUP! I go over how to add fonts in Adobe Premiere Pro CC, using Adobe Typekit. This will give you a little bit more flexibility when adding text to your shots!